– The Clippers’ bench was terrible in this game. Reserves scored just 20 points, compared to 51 by San Antonio’s. Jamal Crawford shot 1 of 9, Austin Rivers 1 of 5 as the bench shot just 6 of 22 from the field. That’s 27.2 percent. 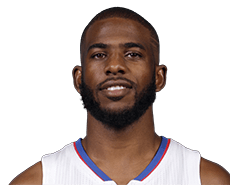 – Chris Paul’s statistics show he had a good game, scoring a team-high 22 points on 9 of 16 shooting while doling out eight assists and making three steals. However, he scored just four of those points in the second half. – One would have thought that since the Clippers trailed by just a point (71-70) after three quarters, they would have been in the game until the end. But once the Spurs really got rolling in the fourth quarter, there was nothing the Clippers could do to stop them. San Antonio outscored the Clippers 37-17 in the fourth. – San Antonio’s Danny Green is having his worst season from 3-point range since his rookie campaign in 2009-10. Yet he made 4 of 5 from beyond the arc in this one. Even so, he’s still shooting just 33.9 from distance after shooting 41.8 percent a season ago. Green scored 12 big points. – Speaking of San Antonio’s bench, it got 15 points and five rebounds and six assists from Patty Mills and 13 points and two assists from Manu Ginobili. They shot a combined 11 of 17 (64.7 percent). The Clippers trailed the San Antonio Spurs by just a point at 71-70 after three quarters Tuesday night at San Antonio. But the Spurs opened the fourth quarter on a 26-9 run and rolled to a 108-87 victory over the Clippers. It was the first game of a five-game road trip that continues Wednesday in Houston. Chris Paul led the Clippers (42-24) with 22 points, DeAndre Jordan scored 16 points and grabbed 14 rebounds, Jeff Green scored 15 and J.J. Redick had 14 points. The foursome shot a combined 26 of 47 (55.3 percent). It was the bench that hurt the Clippers. Reserves shot a combined 6 of 22 (27.2 percent). 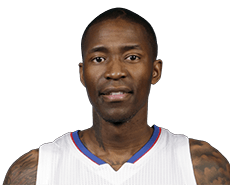 Sixth-man Jamal Crawford was 1 of 9 from the field, Austin Rivers 1 of 5. The bench scored just 20 points. The Spurs’ bench scored 51. Kawhi Leonard led the Spurs (57-10) with 20 points, LaMarcus Aldridge scored 17 and Patty Mills had 15 points, five rebounds and five assists off the bench. Manu Ginobili had 13 points in reserve and Danny Green scored 12 while making 4 of 5 from beyond the arc. San Antonio is now 33-0 at home. Chris Paul had yet another fine effort in Thursday’s 105-86 victory over the visiting San Antonio Spurs at Staples Center. Paul scored 28 points, shooting 9 of 18 and making all seven of his free throws. He also grabbed five rebounds, doled out 12 assists, made a steal and blocked a shot. He had just two turnovers in 37 grueling minutes. Center DeAndre Jordan has taken notice. Paul averaged 17.7points, 8.9 assists and 3.3 rebounds before Griffin went down. Paul has averaged 21.1 points, 10.0 assists and 4.4 rebounds in the 24 games Griffin has missed, the Clippers winning 19 of them. Jamal Crawford scored nine points off the bench and Paul Pierce scored eight to help the Clippers take a lead of 42-34 over the San Antonio Spurs into the halftime break Thursday night at Staples Center. Patty Mills scored seven off the bench for San Antonio and LaMarcus Aldridge scored six. The short-handed Clippers are without Blake Griffin (hand), Austin Rivers (hand), Pablo Prigioni (illness) and newly acquired Jeff Green. If the Clippers were still bummed out about getting routed by 27 points in Game 3 on Friday, they didn’t show it in the first half in Game 4 on Sunday at AT&T Center in San Antonio. Chris Paul and J.J. Redick scored 12 points apiece and the Clippers took a 51-47 lead into the halftime break. Kawhi Leonard scored 11 for the Spurs and Tony Parker and Patty Mills 10 apiece. The Spurs are up 2-1 in the best-of-seven series.